MEET THE AUTHOR: A.R. Silverberry is in the house!!! I just finished reading one of the most wonderful fantasy novels that I have ever read! Seriously! It’s called Wyndano’s Cloak and it is written by A.R. Silverberry. My raving 5 star review is here.I enjoyed it so much so that I contacted the author and asked if he wouldn’t mind doing an interview. And he agreed. Yippee! Also, it just so happens that he is on a blog tour for the re-release of his novel. So please help me welcome the author of WYNDANO’S CLOAK, A.R. Silverberry! Hello Mr. Silverberry, can you tell us a little bit about yourself? I’ve been a licensed psychologist since 1991. I work mostly with children and teens, but also adults. I love my work, but the job of a psychologist is to help others actualize themselves. This means I have to look elsewhere for a creative outlet. I’ve played piano since I was ten and later played in bands and composed music, including a choral cantata about Paul Robeson, based on a poem by the Chilean poet, Pablo Neruda. My fingers started feeling the strain of banging the ivories. I had to seek another channel for my creativity, so in 1998 I turned to writing. I still play piano ten to fifteen minutes, daily if I can squeeze it in. I do a lot of reading. I’ve got a seventy-five minute commute, which I fill with audio books, but I read a lot off my Kindle. I don’t watch TV, other than my favorite show, Iron Chef America, and movies. I love cats, pesto, homemade pasta, marinara sauce (are you seeing an Italian trend here?! ), Bach, Beethoven, Mozart, Chopin, Miles Davis, John Coltrane, Jane Eyre, and the Lord of the Rings, not necessarily in that order. Awesome! When did you finish your first book? 2003. It was the prequel to Wydnano’s Cloak. It’s sitting in my dresser, waiting for revisions. I really would like to get to it, but other stories are demanding to be written first. Oh my goodness, I can’t wait for that one! So, where do you get your ideas? Everywhere. The more I get away from my desk and out into the world, the more my imagination is stimulated. Julia Cameron, who wrote The Writer’s Way, recommends that writers have artist dates. You go out solo and explore something new and interesting. She compares the wellspring of creativity to a pond where new ideas are the fish. To keep the pond stocked, go out on an artist data. She’s right. Whenever things start to grow stagnant or stop flowing, I get myself pronto into a new environment. It works every time. Even a walk outside will do it. I’ve always been a big people watcher. I did it all through school, and observing human behavior is my stock-in-trade as a psychologist. But I hone in on different things when I’m watching as a writer. I ask myself, why does that woman wear that color scarf? Why is that child playing with a plastic bat? I keep a notebook in my pocket and I’m constantly recording what I see. I’ve been known to do that when I’m driving, which can be quite hairy! What a great way to come up with ideas! Can you tell us about your challenges in getting your first book published? I sent that prequel I mentioned above to five top New York agents. Two asked for the whole manuscript, which is a coup in itself. Both wrote gracious letters back, and one actually provided some concrete feedback, which I paid close attention to. After that, I attended writers’ workshops and classes, and read a number of excellent books on the craft. 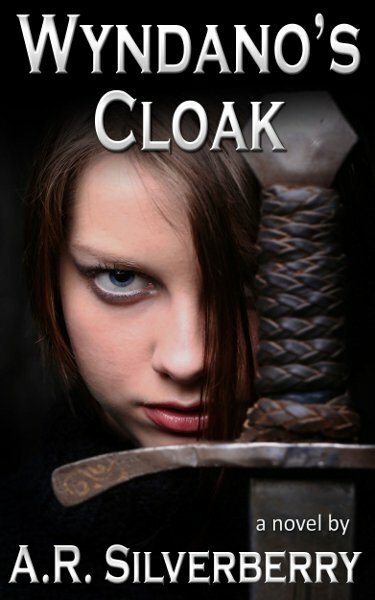 Armed with a clear idea how to improve my writing, I wrote Wyndano’s Cloak. That level of detail establishes a powerful feeling of place. What’s more, as the scene progressed, the pounding on the shoe, and later, the hissing steam as the red-hot iron is doused in water, mirrors Bit’s growing apprehension at leaving the safety of the Rose Castle and traveling to a strange place with dangers all around her. I never would have gotten that subtext without visiting a stable and carriage house built in the mid-nineteenth century! I loved writing Chapter Ten. It poured out pretty much as you see it, with few revisions. It tells the story about the heroine Jen’s life growing up in the Plain World—a gray, dreary, magicless world—before coming to Aerdem and being reunited with her family. What I love about the chapter is how it characterizes Jen, showing she’s an outsider, so different from the children around her. I think it beautifully establishes why Jen doesn’t want to lose her family, now that she’s reunited with them; it establishes why she yearns to rise above her circumstances, yearns to master Wyndano’s Cloak: It may be the only protection she has against the darkness about to descend on their lives. That was one of my favorite to read as well! How did you come up with the title? The title was hard to nail down. It refers to a cloak in the story that lends shapeshifting powers to the wearer. It’s vitally important to the plot, the main character, and the book’s theme. It symbolizes the yearning of the human spirit to soar above adversity. Such a symbol can’t be overused, and I didn’t. Think of To Kill a Mockingbird. Said bird is only mentioned a few times in Lee’s classic. Same with For Whom the Bell Tolls. You have to wait for the end to understand what Hemingway is saying. It’s not a book about church bells! So it goes with Wyndano’s Cloak. I’m working on a dystopian science fiction novel set in the not too distant future. I’m anticipating this one will be a trilogy. In very broad strokes, I know what will happen in books two and three. Book one has been hard to write. Orson Scott Card said that it could take years for a story to ripen. I think that’s what’s happened here. The world building and the backstory are just taking their own sweet time. After three false starts, I decided to skip the set up and started writing the middle. That went well for a few chapters. Then I wasn’t sure which direction to take things so I skipped to the end and wrote that. Now I’m back at the beginning, which is finally going well. I’m still not sure about the middle, but I have faith it will come, even if I have to set the whole thing aside and work on something else! Not to compare myself to them in any way, but I remind myself that Beethoven took nine years to write the overture to Fidelio. Brahms took twenty years for his first symphony, as did Neil Gaiman to complete The Graveyard Book. My philosophy: Give yourself permission to take time; they’re ready when they’re ready. I’ve also got a completed science fiction fantasy, which will be coming out in the late spring or early summer. I’m not ready to release too much info about it, but will say this: It’s part coming-of-age tale, part adventure, part spiritual journey. Set in a unique, highly visual and palpable world, it cuts across several genres and will appeal to teens, adults, and fans of speculative fiction. I’ll keep you posted about it! Jade, thanks so much for having me today! It was a pleasure, Mr. Silverberry! Thank you for agreeing to stop here on your tour and good luck with all of your current and future projects! She is certain that Naryfel, a shadowy figure from her past, has returned and is concentrating the full force of her hate on Jen’s family. But how will she strike? A knife in the dark? An attack from her legions? Or with the dark arts and twisted creatures she commands with sinister cunning. Wyndano’s Cloak may be Jen’s only hope. If she’s got what it takes to use it . . .
A. R. Silverberry has won a dozen awards, including Gold Medal Winner in the 2011 Benjamin Franklin Awards for Juvenile/Young Adult Fiction; Gold Medal Winner in the 2010 Readers Favorite Awards for Preteen Fiction; and Silver Medal Winner 2011 in the Bill Fisher Award for Best First Book, Children’s/Young Adult. He lives in California, where the majestic coastline, trees, and mountains inspire his writing. Wyndano’s Cloak is his first novel. 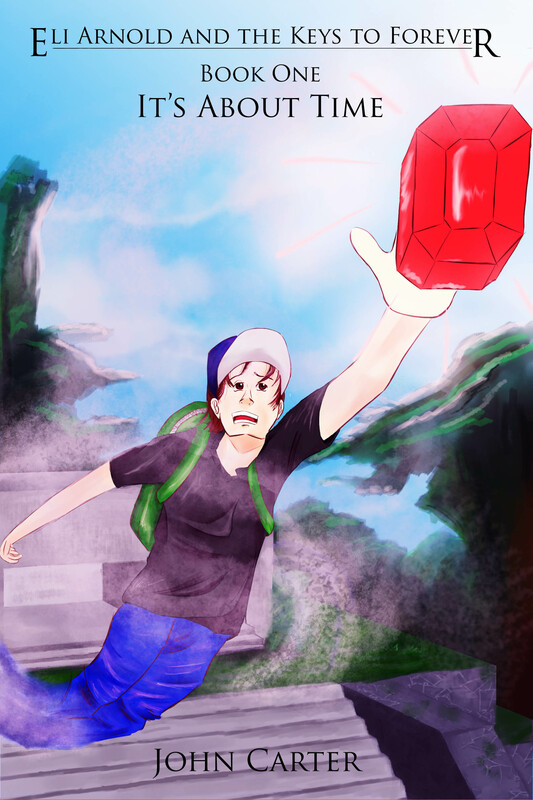 Follow him at the links below! I just recently finished reading Eli Arnold and the Keys to Forever: It’s About Time by John Carter, and what a treat it was! I am a huge fan of young adult fantasy series’ and this one takes the cake! This book is fast-paced and hilarious; perfect for young readers as it will definitely keep their attention and keep them laughing. Not only is this book a riot and I found myself giggling out loud at times, but it is charming in the way it integrates fantasy with historical and mythological elements. This story is so very fun and captivating, not to mention well written with quirky and quick-witted and lovable characters. I found it hard to put this book down and would recommend it to anyone who is young at heart! I am very excited to start reading the next book in the series! I give this book a whopping 5 STARS and commend author John Carter for such a great piece! *Here is my review for the next book in the series: The Myth of Mythology. I just finished reading Through the Paper Wall by Heidi Nicole Bird and what a refreshing story it was! It took me to a magical place in my mind; one of mystery, imagination, and wonder, yet had the touching side of real-life struggles that a lot of people have to deal with. Even though the main character is quite young, I found myself identifying with his frustration, pain, love, and realization. I love how he grows as a person as the book progresses and is taken to a whole new world that puts things into perspective in his own life. This story is a young adult fantasy but is perfect for all ages and it has definitely not been done before! It was so well-rounded and interesting that it kept me reading long into the hours of the night. I would describe Ms. Bird’s style as whimsical and fresh, yet she gets down and dirty in the depths of the human soul and puts in some hard-core real life lessons. Bird’s style can almost be related to that of M. Night Shyamalan, in that it is mysteriously engaging and so true to heart in its mesh between fantasy and reality. I highly recommend this book to anyone and everyone, as it will not disappoint! Out of 1-5 stars, I give Through the Paper Wall a whopping 5 star! And there’s more! I’ve had the pleasure of having Heidi Nicole here to answer some question’s. Take a minute to meet the author in her amazing interview here! Meet the Author! James A. Eggebeen in the houuuuse! 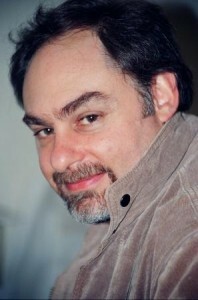 Meet the author of the FOUNDLING WIZARD and the APPRENTICE TO MASTER series, James A. Eggebeen! I just finished reading Wizard Foundling, the first book in the Apprentice to Master series and loved it. You can check out my review here. But now I’d like to take some time to introduce you to the author, James A. Eggebeen. Thank you so much for being here today James! Can you tell us a little bit about yourself? I am a high tech executive, or at least I was for most of my life. I have been a full time writer since last fall when the company I was working was restructured after raising money. I found myself unemployed and decided that this was the perfect opportunity to take on more writing while I looked for a job. So far I have done a lot more writing than I expected and want to try to make the full time writing work out by supplementing it with part time consulting (software). Great way to pursue your dreams! What do you do when you are not writing? I go to writer’s groups, I take care of the house, and I read. My kids are grown and my wife works, so I get to spend quiet days writing and doing the laundry, the dishes and housework. Oh, and I cook, I love to cook. And if Doctor Who is on. I’m there. Ah, a fellow Whovian! LOL! So when did you first start writing and when did you finish your first book? I started writing in college many years ago. I needed an English credit to graduate, and I hated English. I signed up for “Chief Modern Poets of Britain and America” and when the textbooks came, I ran for the Dean’s office begging for something else, anything else. She said there was an opening in Creative Writing and I could take that. I am (and always have been) an avid reader, so writing sounded like a reasonable alternative to all the poetry. I took the class and fell in love with writing. I participated in an on-line writing group at the dawn on the internet and enjoyed it immensely. I sat down to write my first novel in 2011 when my wife went to the Philippines for two months and left me home alone. I needed something to do, so I took one of my short stories and turned it into a novel. I found a good editor and worked with her to get it ready for publication, and got my son to design me a cover in his graphics class and published the Foundling Wizard in august of 2012. I was a big science fiction fan, but fell in love with Fantasy a number of years ago. I decided to write Fantasy because that is the genre I know the best. I have dozens (probably hundreds) of Fantasy novels all over the house and in my personal library. I love the idea of creating these rich fantasy worlds, and can’t think of anything more fun than writing scenes where Wizards battle with magic. At first it was hard. I couldn’t come up with problems and situations for my characters, but the more I write in my fantasy world, the more it comes easily. Lately, I seem to come up with ideas faster than I can write them down. People always ask me where I get the ideas. All I can think to say is they just come to me when I sit and think about them, although I’ll have to admit, sometimes I sit back in my writing chair to visualize a scene and fall asleep, so maybe I dream them up while I’m sleeping. Dreaming up ideas 😀 I like that concept. Do you ever experience writer’s block? When I’m not sure how things will work out; I struggle to write much. When that happens, I take out my outline and start looking over what I had planned. I usually find a problem that doesn’t fit with what I already wrote. When I fix that, the words start to flow again. So you work with an outline? Tell us more about how you do it. Oh, I am a heavy outliner. I use the Story Engineering model (surprising isn’t it coming from a software engineer) to build my rough outline. Then I use the snowflake method to go back in and increase the level of detail until I have a good model for the whole story. I usually have each chapter outlined up to the mid-point of the story and then I start writing. When I get close to the middle, I finish the outline so I have a map that will take me all the way to the end. I would be totally lost without my outline. Arthur C Clark, Isaac Asimov, Robert Heinlein as a kid. As an adult, more Orson Scott Card, Larry Niven and Jerry Pournell. I read a lot of Terry Brooks and Robert Jordan. The Hitchhiker’s Guide and Terry Pratchet of course are a must. Oooh, Robert Jordan is one of my faves too! Can you tell us about your challenges in getting your first book published? I think the hardest part was learning how to work with an editor. I found someone who was willing to work with me. I send her my “polished” manuscript. She read through it and told me that there was something terribly wrong, but she was not sure what it was. We spent several days discussing what she felt and finally came to understand what I had missed. I put together a plan to fix everything she noticed, and then did a fairly significant revision. It was a great experience, and a lot of work, but I’m glad we did it. I learned so much from that experience. Not really. I was pretty happy with the whole process. I have a great relationship with my editor, and was able to stop in and visit with her in person while my wife and I were in the UK for our anniversary. We’re from California and getting to meet my editor in England was a real treat. It definitely helps build that relationship for future work. What a treat! How do you market your work? What avenues have you found to work best for your genre? You aren’t going to like my answer here. I don’t market my work beyond putting it on Amazon and doing a Goodreads giveaway. I tried a few things in the beginning but nothing seemed to work. I am a big fan of Dean Wesley Smith. He says write more books. That is the way to get visibility. I have found that each new release drives sales for my whole catalog of books, so I mainly focus on writing more in the series and not so much on marketing. I have a science fiction book I wrote about one of my favorite characters. I tested it with a couple of Beta readers, and they didn’t like the character. I really want to get that character out there, but I have to figure out why they didn’t like her as much as I do. Until I get positive reader feedback, she stays on my hard drive. I have really been focusing on getting the fantasy series complete before I take on the science fiction one. Master Wizard is the third in the series (not counting the prequel) that wraps up Lorit and Chihon’s journey. It’s the culmination of their growth and maturity and the end of their trials. I am starting revisions soon with a target to have it ready for publication by June. It’s aggressive, but I think I can make it. Good luck with your goal! Is anything in your book based on real life experiences or purely all imagination? I think the relationship between the characters draws on real life. I am a rather even keeled type of guy. I’ve been married for twenty-five years, and depend on my wife for a lot. We discuss everything of importance, and I rely on her for more than I let on. I think this shows in my characters. The female characters in my books are all strong and intelligent, sometimes more so than the males. My editor says I write the women better than I write the men. You’ll have to admit, women are quite fun to write about! Haha! So what was your favorite chapter (or part) to write and why? I love to write very descriptive battles and magical scenes. In my upcoming novel, I used a vision to show the main character as a dragon, and let the reader experience firsthand what it would be like to be a dragon. I drew heavily on my experience as a private pilot to illustrate the freedom and peacefulness of flight. I loved that scene and it shows. Oooo Dragons! I can’t wait to read it! How did you come up with the title? The Foundling Wizard title was just sort of obvious. I sat down and decided that I needed a title, and that was the first thing that came to mind. I shared it with a few people and they thought it was cool, so it stuck. The other titles are all based on “Wizard” something, so they’re not as imaginative as they could be, but it helps tie all the books together in the series. I’m revising Master Wizard, the completion of the Apprentice to Master series. Master Wizard is set for a June release. I used Lorit and Chihon in the main series. I decided to take a closer look at the genesis of the old wizards, so I write Wizard Pair to delve deeper into their beginnings. I have a new character introduced in Master Wizard who is going to get at least one book of his own. One thing that L.E. Modesitt did that I loved, was to write two books that covered the same story. In each one, the protagonist was the antagonist from the other book. It was great in that it showed that both of the characters were acting in what they thought of as the best interest of society and their own order. I loved it, and would like to do that one day. Take one of the evil Priests and show his story and motivation. Maybe when the main series is done. What a cool writing style! What has been the toughest criticism given to you as an author? What has been the best compliment? Right after I published Foundling Wizard, I got a scathing review on Amazon from someone who hated the book. It really hurt, but I learned that not everyone likes what you write. I try to take criticism as a means of helping me improve, so I don’t take it too much to heart. The best criticism is a review that said the reader loved the book and was going to buy the next one right away. That pretty much sums it all up. I don’t really get much feedback from readers. I think fantasy readers are pretty subdued. Some authors have huge readership with lots of feedback from their readers. The only think I know about my readers is that they buy from Amazon. Read a lot and write a lot. Get feedback on as much of your work as you can. I do a lot with local writer’s groups and have found them to be a great learning environment. Make friends with other writers and trade ideas and learning. But, most of all, keep writing. The more you write, the better you will get at it. Great advice James! Is there anything that you would like to say to your readers and fans? I’m so excited to see that people enjoy my work. I had no idea what to expect when I published my first novel, but I am encouraged by how many people are reading it. I particularly love to hear folks talk about my characters as if they were real people. That says I am portraying them well enough that they seem real to someone else besides me. Thank you so much James for sharing about yourself and your work! Loved having you! And to my readers and fellow fantasy fans, take a minute to check out Foundling Wizard and the rest of the books from the Apprentice to Master series here. Already read one of James A. Eggebeen’s books and loved em like I do? Leave a review here. I just finished Foundling Wizard by James A. Eggebeen and had a great time reading it! It is the first book in the Apprentice to Master series and I am very much looking forward to reading the next books. (See below for titles and links.) Now, I am quite a fanatic when it comes to fantasy series, and I have to say I was very pleasantly surprised with Wizard Foundling, which creates a whimsical and magical feeling throughout and carries you effortlessly through the story. Lorit, a boy of 18, who comes from a small farming village, finds himself in quite the predicament when magical powers arise within himself, catching the attention of the dreadful high priests from the Temple of Ran. He flees his home and goes on a treacherous journey where he meets new friends, travels through high mountains passes and plains of deadly grasses, only to find that the priests have taken from him the things he holds most dear. When he becomes paired with his new friend Chihon. a sorceress, and with the help of the Master Wizards, he seeks vengeance against the priests, putting his and Chihon’s lives in danger. The author creates an amazing alternate world in which his character’s live; one with wonder, magic and mystery. The plot was suspenseful and engaging, and the thought behind the details was well worked out. Eggebeen is a good author, but as he writes more books, I believe he will be great! On a scale of 1-5, I give Foundling Wizard a 4 star and would recommend this book to anyone who enjoys a good epic fantasy. You can find Wizard Foundling here on Amazon. The second book in James A. Eggebeen’s Apprentice to Master series is Wizard’s Education found here. And the third book, which is also the prequel to the series, is Wizard Pair and you can find that here. But wait! There’s more! It is with great pleasure that I have the author of Foundling Wizard joining me today in a ‘Meet the Author’ interview. Check it out here .